How useful is the Wii U’s tablet-equipped GamePad? 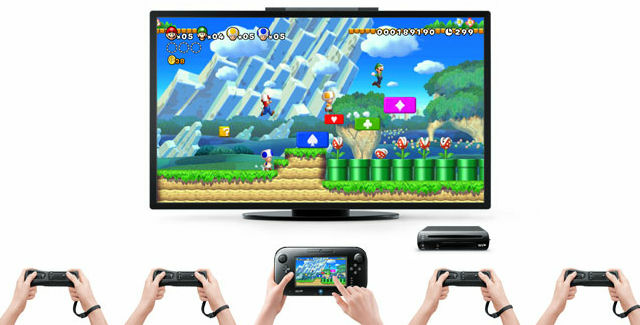 Nintendo spent a good portion of this year's E3 press conference stressing how the touchscreen-equipped GamePad that comes with the Wii U will revolutionize all sorts of familiar gaming experiences, and lead to entirely new types of gameplay as well. I tried a few Wii U games at the show that did just that, but more often they seemed to use the new controller in ways that got in the way of the gameplay. Here, in no particular order, are my impression of what the GamePad brings to the table in some of the Wii U's most important games. While you can use the GamePad to play the single-player mode of this 2D side-scroller without using the TV, you only get the benefit of the game's stunning HD graphics while playing on the big screen. The more interesting use for the GamePad is the two-player "boost mode," where one player uses a standard Wii Remote to move Mario on the TV screen and another taps a live image on the GamePad to place temporary blocks on the playfield, or to briefly stun enemies. In theory, two coordinated players could use "boost mode" to create some amazing shortcuts through difficult parts of a level, resulting in some epic speed runs. In practice, during my short E3 demo I ended up accidentally getting in my partner's way at least as often as I helped him. Dedicated players willing to put in the practice may find themselves exploiting this mode for all it's worth, but I think it's a lot more likely that antagonistic players will end up trying to screw over their partners. The Tendo Project – Daily Nintendo News is powered by	WordPress 5.0.4 and delivered to you in 2.765 seconds using 41 queries.